Beat This Caption Contest 162 Winner – Caption Contest Funny Clever Witty Enter Today! Hey Girl, what’s your Name, Girl, I’ve been looking at you! 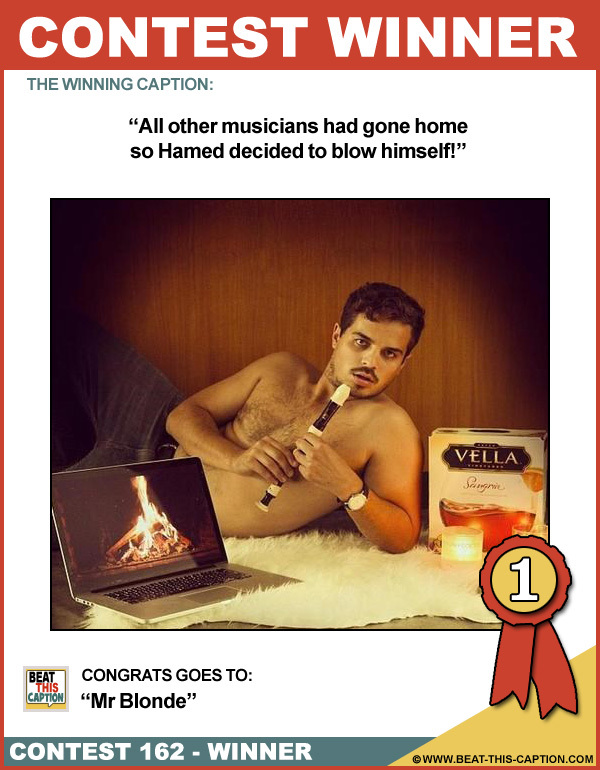 All other musicians had gone home so Hamed decided to blow himself! Great Caption! That’s music to his ears! ;) You WIN! The only thing that comes in a box tonight, is the wine! It’s the only way he can get his little snake to rise! Your dancing causes even the hairs on my chest to rise up!